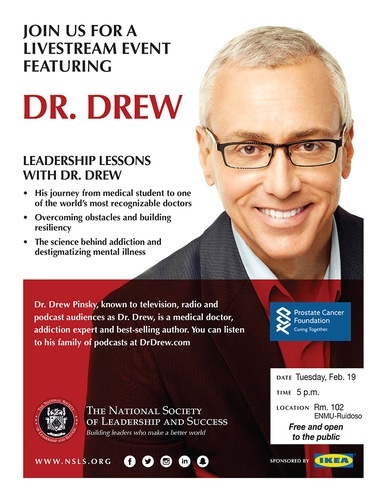 Join us for a Livestream Event featuring Dr. Drew. Dr. Drew Pinsky, known to television, radio and podcast audiences as Dr. Drew, is a medical doctor, addiction expert and best-selling author. You can listen to his family of podcasts at DrDrew.com.